We provide PET Preform Solutions With ROBO Arm Provision like Husky in 24 cavity to loeer the capital cost specially for Indian and African market. You can Source Plastic Cap Compression Molding Machines Plants through us. Reliable source from China. Quality caps assured. Machine Demo is available in Dec 2016. P.K Consultants undertake & Execute Plastic Projects and provides customized Solutions in the field of plastic and packaging industry..
We are known for cost effective services and solutions to the clients. We have the facility of offering customized solutions & consultancy services to clients diverse requirements. 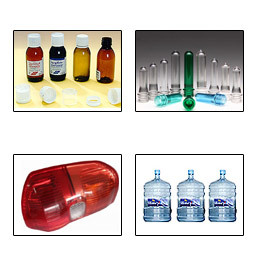 We provide complete solutions for Mineral Water, FMCG, Pharma Industry, Automotive Parts ,Recycling and Plastic Automation.